I have played a lot of flash games on PrimaryGames website. The game named Coinz! is disturbingly hard and addictive at the same time. 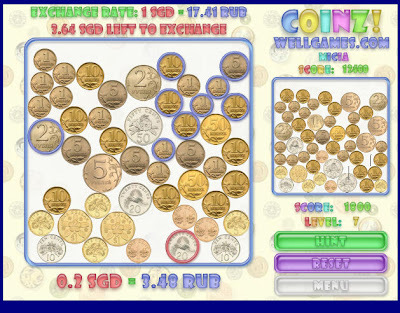 The target of the game is to make money disappear by picking up the same amount of money using two currencies. The first game involved exchanging Singapore Dollars to Russian Rubles. This was hard. There were lots of coins marked 1, but it is harder to determine if the coin is 1.oo or o.o1. Choosing Hint from the list on the right you can see the value when marking a coin. After all the Singapore Dollars were exchanged the level was completed. Now the new currency was Lithuanian Litas. 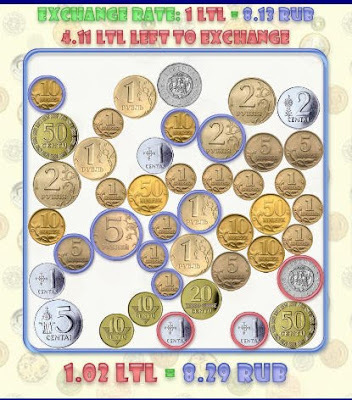 The exchange rate is shown above the box and below the box you can see how many Rubles you should find matching the Litas you have chosen. Interestingly the third level seemed easier to me. 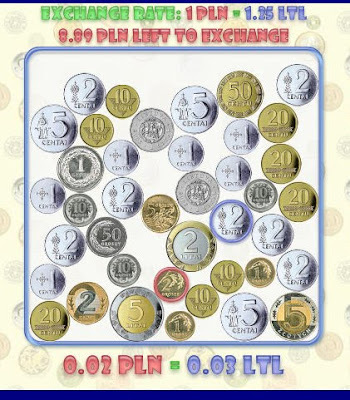 Now Polish Zlotys were exchanged to Litas, and the value of the currencies being nearly the same made it easy. A very good game in mathematics learning. I could imagine that kids are faster to find the right coins than I was.